The Honda Civic has been nothing short of an icon in the Indian market. First offered to us in 2006, the Civic had a good 7 year long run, before it was discontinued in 2013. After six long years, Honda is ready to bring this sedan back to Indian shores, but via the CKD route this time. 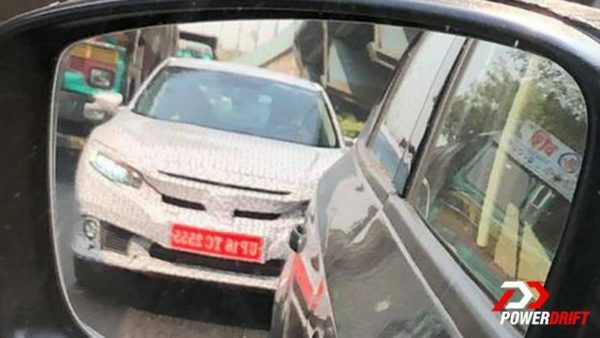 Rumours suggest that the car will be launched by February of 2019, which is not that far away now. 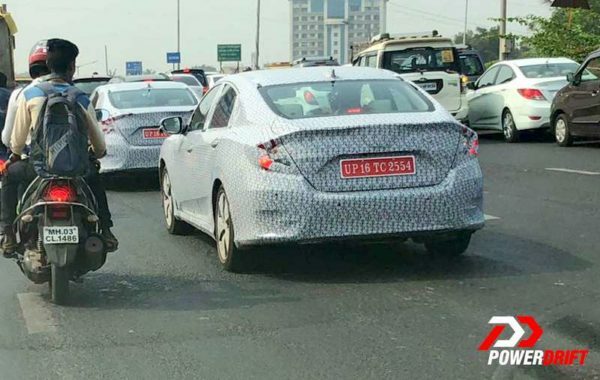 Preparing for that launch well in advance, Honda has already begun testing the new Civic on Indian roads. While Honda did showcase the Civic at the Auto Expo this year, the model has been given a mid-life facelift. This means that there are subtle differences between the model showcased and the model that we shall receive. The front end shall get smoked headlamps, some piano black treatment and LED illumination all around. The rear too would get LED illumination and expect plenty of chrome bits all around the car. Being a premium product, expect the car to feature things like a touchscreen infotainment system, automatic climate control, a sunroof and even a wireless charging pad, as standard. On the safety side, expect the Civic to come with as many as 6 airbags, ABS with EBD, traction control, cruise control and many more features. Also Read: Has Honda Said Goodbye to the Brio for the Indian Market? When launched, this car will go up against the like of the Skoda Octavia, the Toyota Corolla Altis and the Hyundai Elantra. With such stiff competition going against it, it will be very crucial for Honda to price the car right in order to make it successful. We’ll bring you more updates as we get closer to launch, stay tuned!